In most cases, it’s a smart move to retake the GMAT! There are a number of reasons it might help your applications, and very few downsides. However, to help you make an informed decision, let’s go into the pros and cons of retaking the GMAT. There are various statistics out there regarding how many people retake the GMAT. The consensus is that, while most people take the GMAT once, a sizeable minority take it two times. According to Poets & Quants, as of 2016, 28% of test-takers took the GMAT a second time. ExamPal cites a higher number, at 38%. More serious applicants are more likely to keep working for a high score. So, it’s likely that at least a third of applicants to top MBA programs retake the GMAT. If you take the GMAT twice, admissions committees won’t find it strange. Far fewer applicants take the GMAT three or more times. The GMAC hasn’t publicly released the exact numbers, but evidence suggests that those numbers are small. Three attempts may not stand out too much, but four or more will put you in a small minority. That doesn’t mean that submitting four or more scores will keep you out of your dream school. But it does mean you’ll stand out among other applicants, and not necessarily in a positive way. What If It Takes Three (or Four, or Five) Tries to Hit Your Goal Score? Unless you have a really good reason, you probably shouldn’t submit more than three GMAT scores to schools. But here’s a secret: retaking the GMAT is still possible. If you cancel a GMAT score, schools won’t even see that you took the GMAT on that day. It’ll be exactly like the test never happened. If you retake the GMAT and somehow get a worse score, you can cancel that score before even leaving the testing center. Of course, taking the GMAT has its costs. Taking the test costs $250. Canceling a score at the testing center is free, but canceling a score after you leave (within the next 72 hours) costs $25. That’s not to mention the huge investment of time and energy involved in studying for the GMAT. Also, you can only take the GMAT five times in one year, or eight times in total. That rule exists to keep people from retaking the GMAT over and over to copy and sell official questions. Since you see the questions whether you cancel your score or not, a canceled score does count against your eight-test limit. For information from the GMAC about canceling GMAT scores, click here. In general, if you retake the GMAT and get the same score—or a lower score—than you got the first time, go ahead and cancel your score. Will Retaking the GMAT Increase Your Score? How high was your first GMAT score? Why didn’t you hit your goal score? 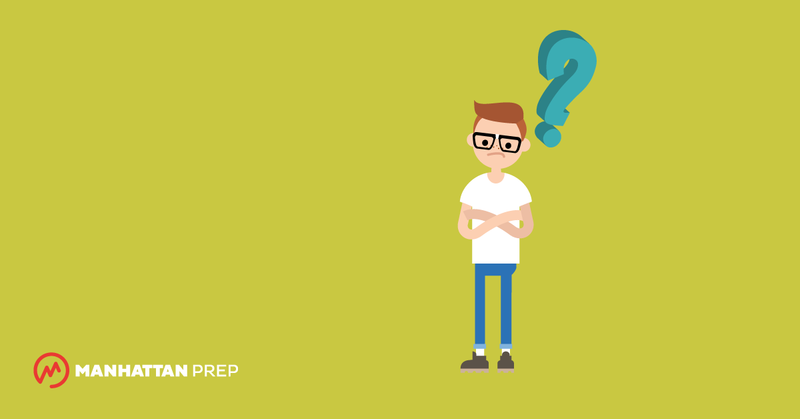 What did you do to prepare for your second GMAT? If you’re at a 580 and hoping to break into the 600s, retaking the GMAT is a good choice. If you have a 710 and you want a 760, it’s much less likely that retaking the GMAT will get you there. Whether you score higher will also depend on why your first score was low. Improving your GMAT abilities takes time and hard work. Just retaking the test and hoping for a better score isn’t usually enough. However, there’s one big exception. In some cases, you’ll get a lower score than you “deserve” on your first GMAT. In other words, your official score won’t reflect what you’re actually capable of. If this happens to you, retaking the GMAT—and taking it “correctly” the second time—can earn you a lot of points quickly. People whose GMAT scores are lower than expected, when compared to their GPAs, tend to do better when taking the GMAT a second time. People who don’t finish one or more GMAT sections on their first try, tend to do better when they retake the GMAT. People who score poorly due to test anxiety, or due to being unfamiliar with the testing environment, tend to do better when retaking the GMAT. Did you make a lot of errors on easy questions that you could have gotten right? Was your official score lower than your practice test scores? Was your time management weak? Was your score affected by anxiety? Did anything go wrong at the testing center that threw you off? Were you having a bad day? If one or more of those points resonates with you, retaking the GMAT could help a lot. Make sure that you finish both sections and that you find a way to tackle your test-day anxiety. Your second GMAT score will probably be higher. Even if none of those points applies to you, you may still want to retake the GMAT. However, if there isn’t a simple explanation for why your first score was low, you have some hard work to do. If you suspect that your GMAT score wasn’t artificially low, you can still get a higher score next time. Start by brainstorming everything you can about why you didn’t hit your goal score. Get an Enhanced Score Report and look over the data. Which problem types were you weakest on? Which types of content were you weakest on? Did you make any strategic mistakes on test day? If you took a Manhattan Prep GMAT course before taking the GMAT, and you took at least three MPrep practice tests, one of our instructors will help walk you through this process in a free online meeting called a Post-Exam Assessment. Unless you simply didn’t have enough time to study before your first GMAT, odds are good that something needs to change about how you’re studying. Read our article on how to study for the GMAT, build a study plan, and start tackling the areas you identified. Practice tests should also be a regular part of this process. If possible, leave at least six weeks before your retake the GMAT, if you need to make significant gains in your GMAT abilities. Take a practice test every 10 to 14 days during that period. You want to earn a higher score next time, so you should stay aware of whether your studies are taking your score in the right direction! Summary: Should You Retake the GMAT? It’s completely normal to take the GMAT two or more times. However, reporting more than three scores to schools might make you stand out—in a bad way. Statistically, taking the GMAT twice will improve your score. However, retaking the GMAT improves some scores more than others. The people most likely to benefit from retaking the GMAT are people who earned very low scores the first time and people whose scores were artificially lowered by time management problems, anxiety, or external factors. Even if that doesn’t apply to you, you can still improve your score by retaking the GMAT. But, carefully assess your study habits first, to avoid making the same mistakes the second time! Want more guidance from our GMAT gurus? You can attend the first session of any of our online or in-person GMAT courses absolutely free! We’re not kidding. Check out our upcoming courses here. 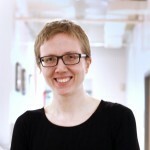 Chelsey Cooley is a Manhattan Prep instructor based in Seattle, Washington. Chelsey always followed her heart when it came to her education. Luckily, her heart led her straight to the perfect background for GMAT and GRE teaching: she has undergraduate degrees in mathematics and history, a master’s degree in linguistics, a 790 on the GMAT, and a perfect 170/170 on the GRE. Check out Chelsey’s upcoming GMAT prep offerings here.